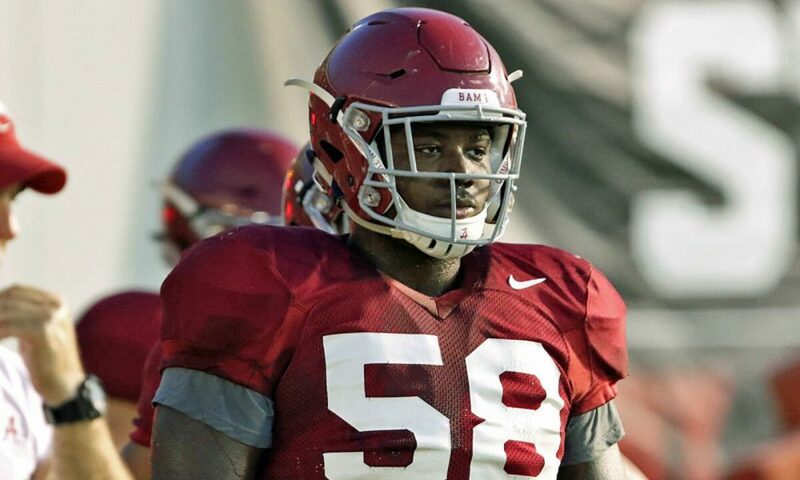 Expect nothing but high competition at spring practice, when it comes to who will replace Quinnen Williams at defensive tackle next season for Alabama football. Despite multiple student-athletes battling it out, one in particular is prepared to take on the challenge as he intends to show the coaching staff what he’s learned. After redshirting his initial freshman season in 2018, Christian Barmore has a clean slate to work with new defensive line coach, Brian Baker – formerly of Mississippi State. While he looks to improve the pass rush of the Crimson Tide, Barmore anticipates nothing short of being a marquee linchpin contributor. Listed at 6-foot-5 and 292 pounds, the four-star from Philadelphia (Pa.) was one of the nation’s top high school prospects as a defensive lineman and ranked at No. 75 on the ESPN 300. He possesses a strong core at the point of attack and on Wednesday, Barmore shared a video on social media that showed him training on his power, hand strike and technique on the sled.